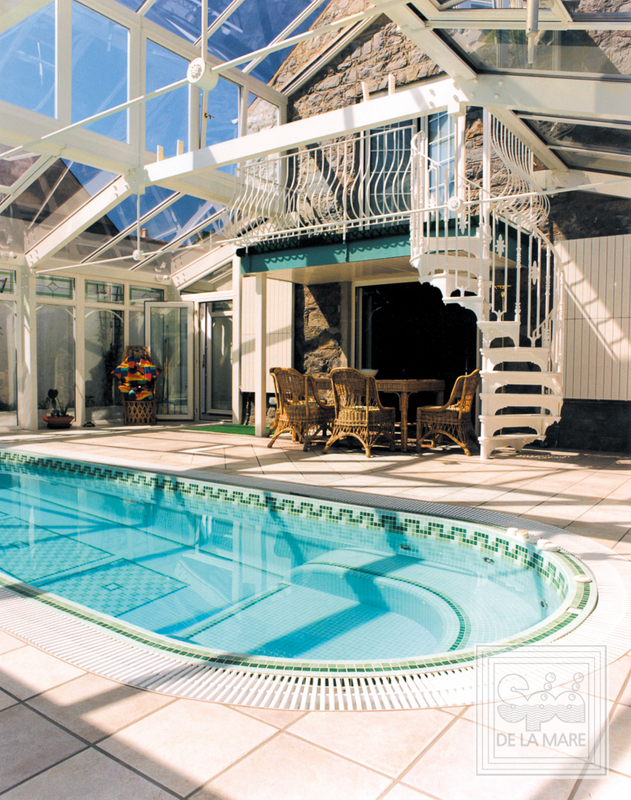 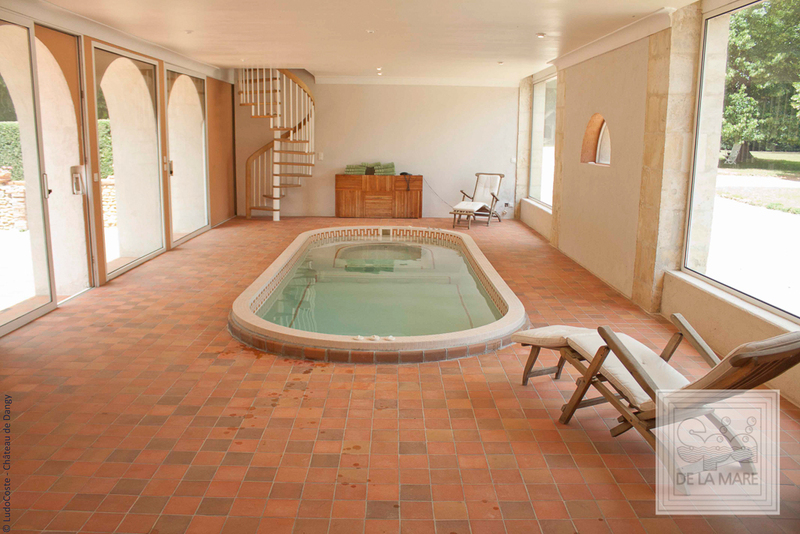 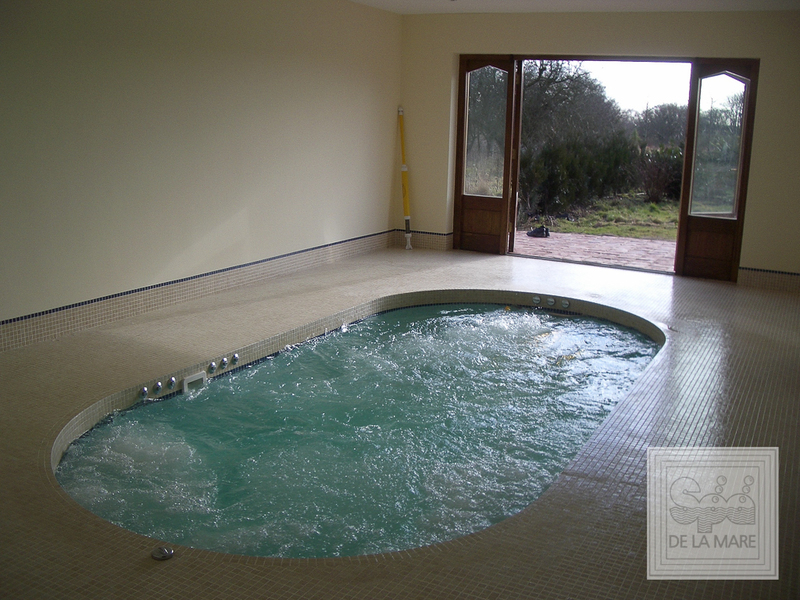 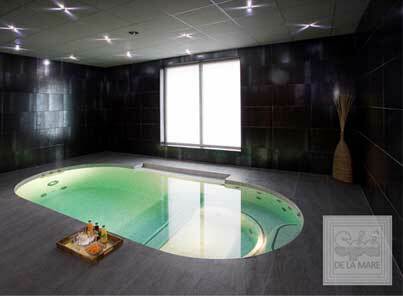 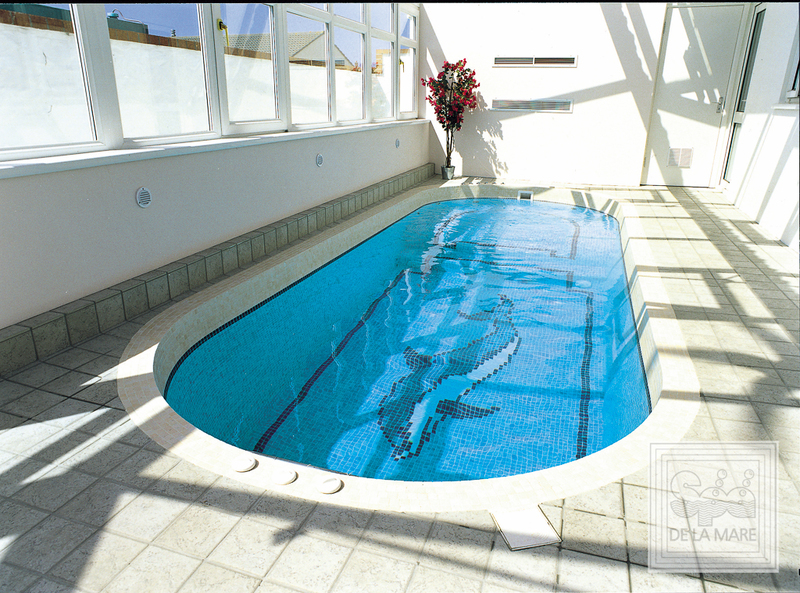 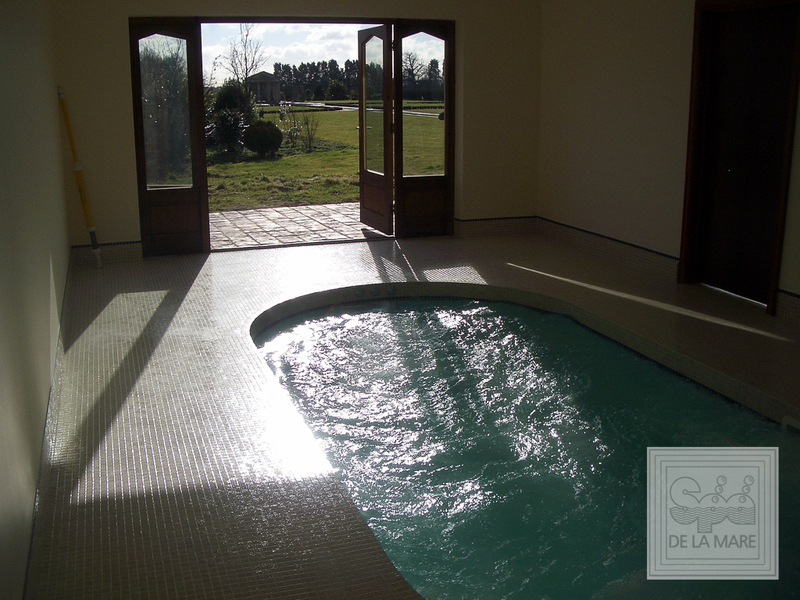 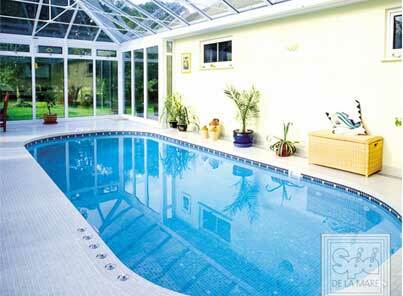 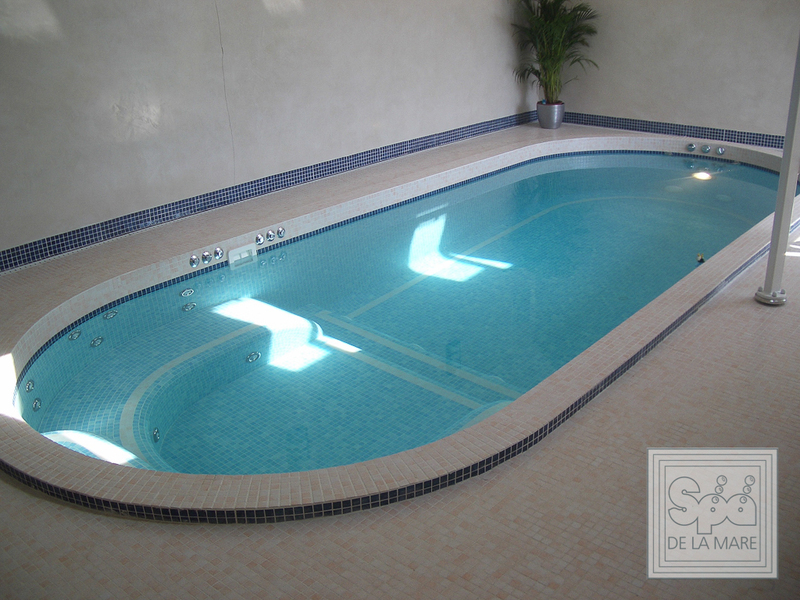 The benefits of hydrotherapy and swimming are well known, but few of us think to bring these elements into our home, but with the Spa De La Mare Cleopatra Swim Spa range this is entirely possible. 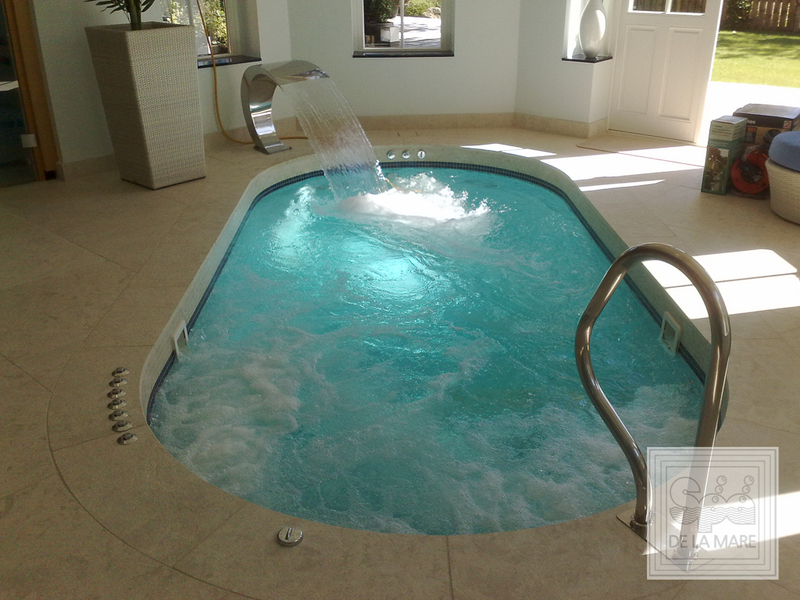 With our Swim Spa range, you can have all the benefits of a swimming pool and hydrotherapy massage spa all in one, with lower maintenance and better efficiency too. 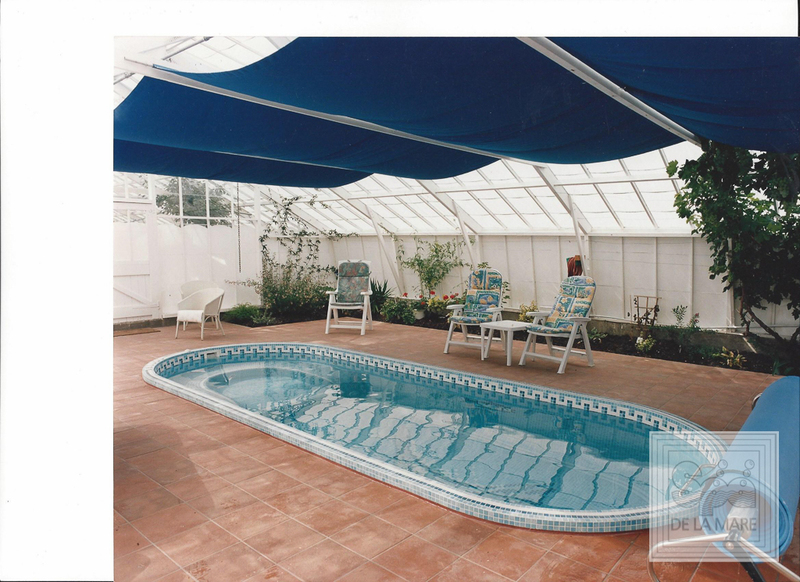 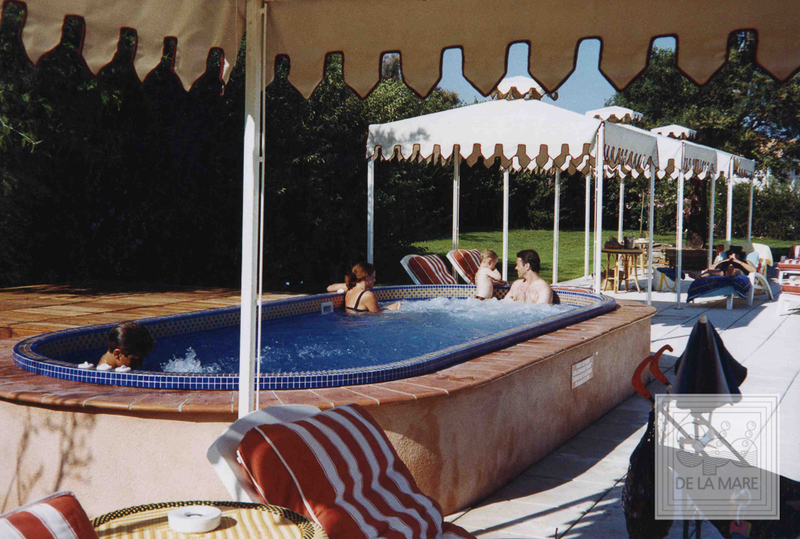 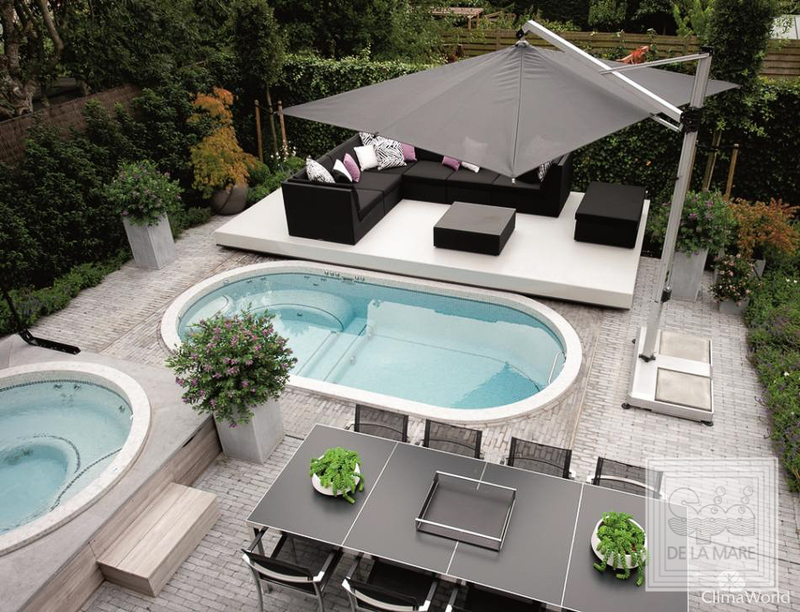 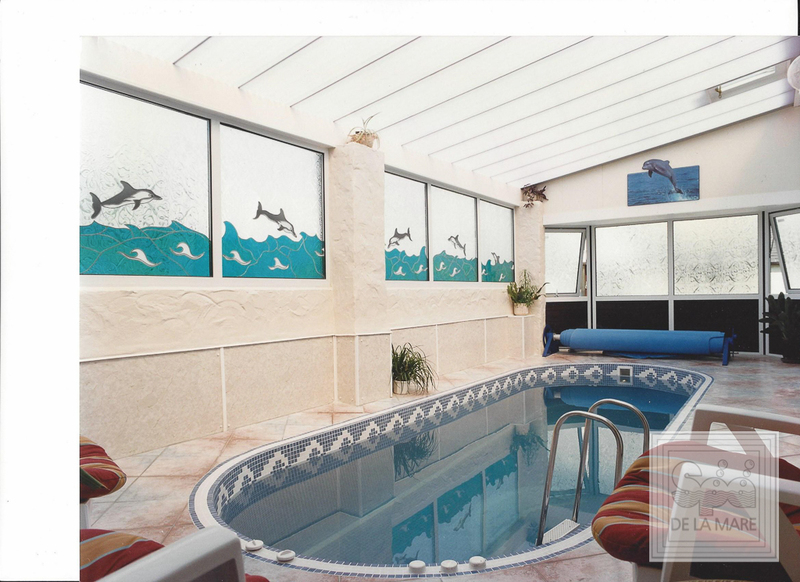 The Cleopatra II Swim Spa is the perfect addition for relaxation in your home and can be installed both inside and outside, depending on your preference. 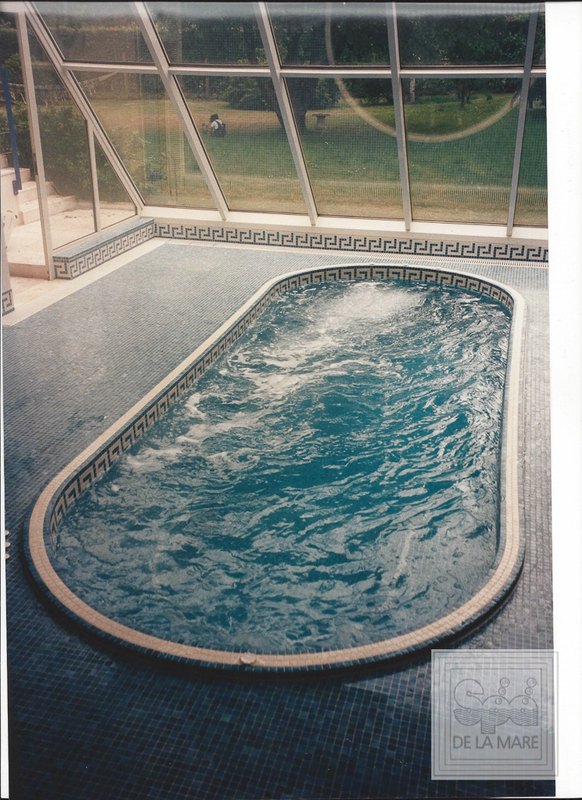 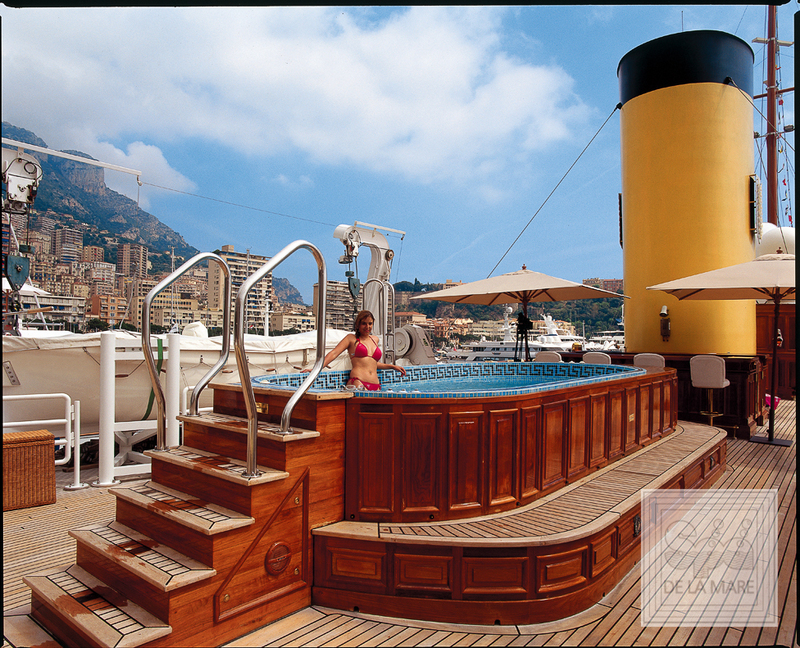 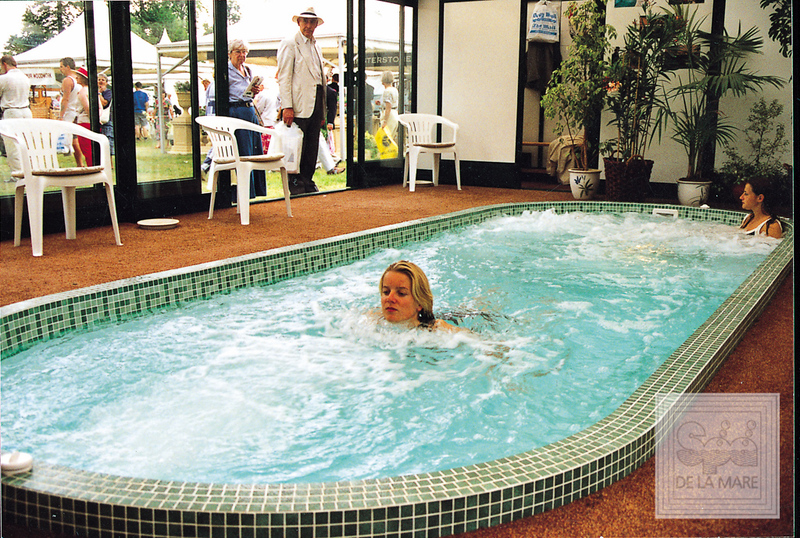 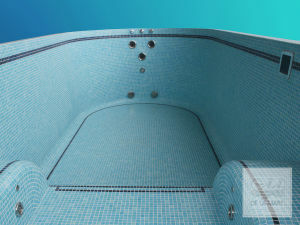 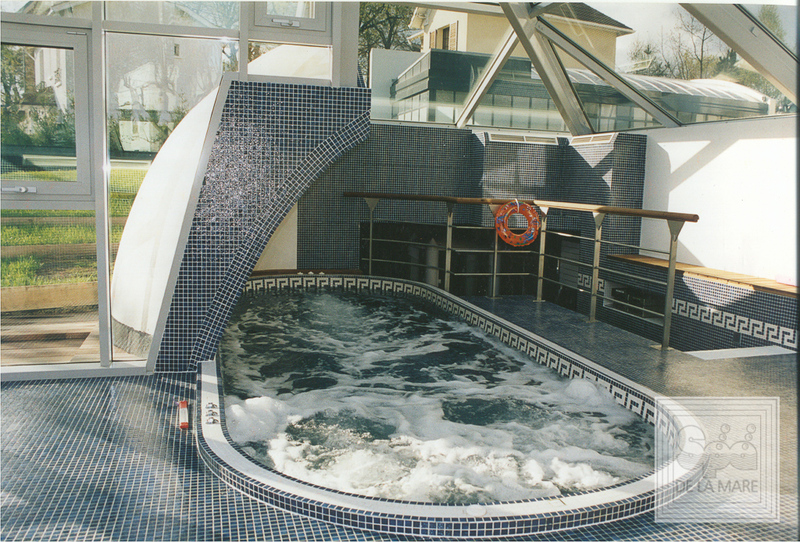 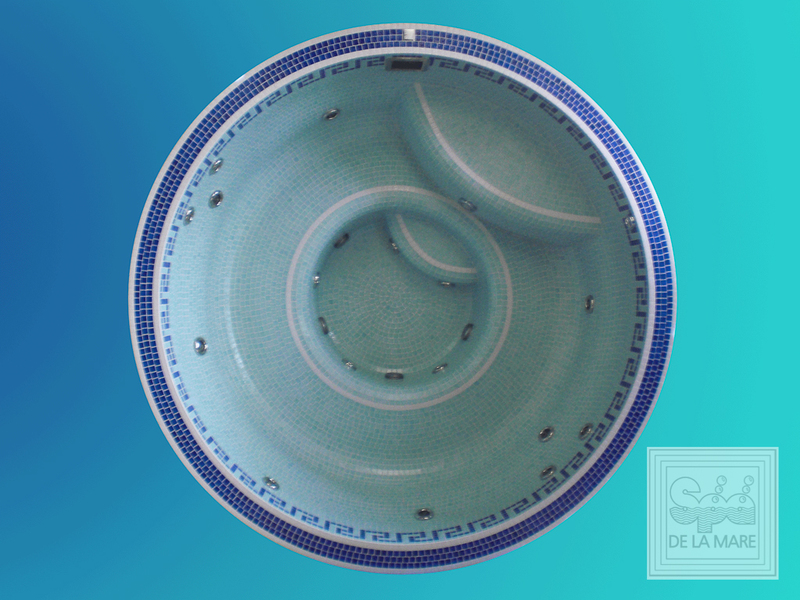 Using the same revolutionary technology that is applied to our spa pools, the Cleopatra II Swimspa combines the space and function of a swimming pool at one end with additional jets to adjust the current for a more invigorating swim, along with a multi-jet hydrotherapy spa area at the other end for a relaxing massage. 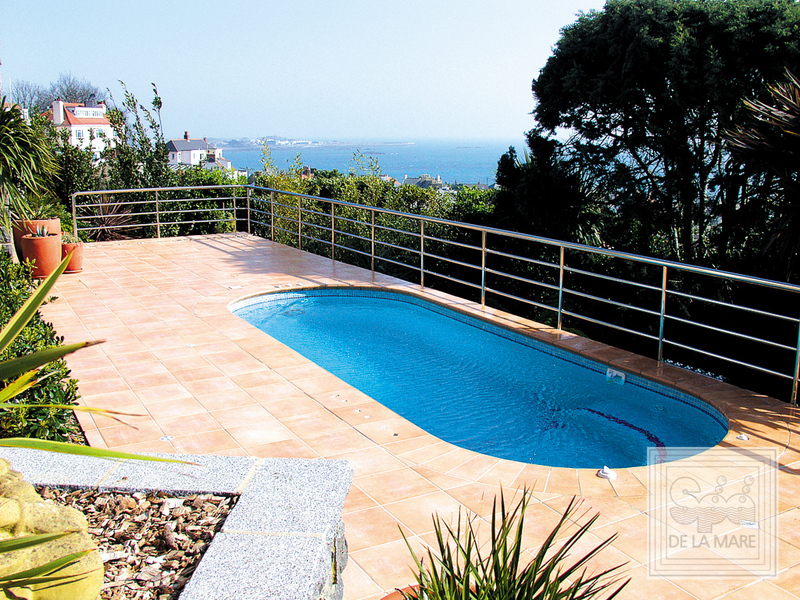 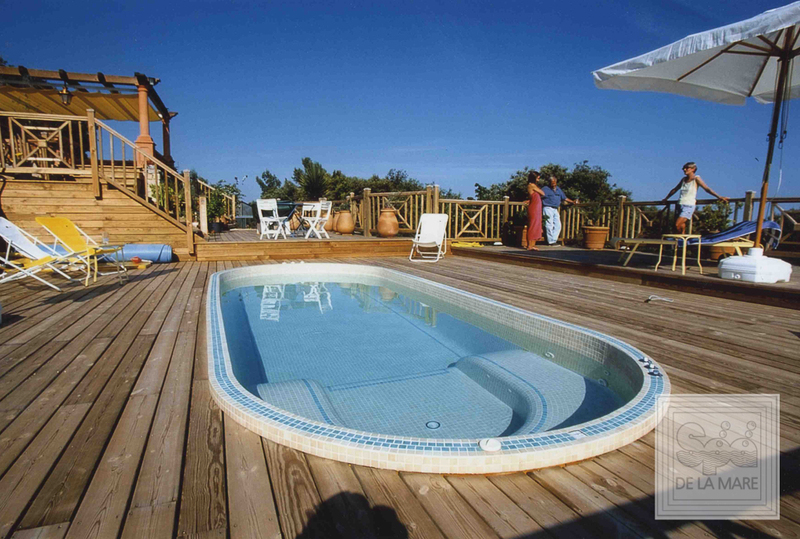 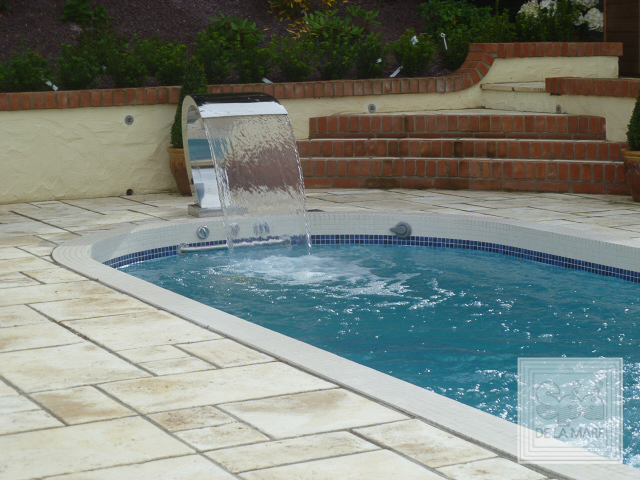 Wherever you decide to locate your Cleopatra II Swim Spa, you’ll find they are easy to install and require less maintenance than a standard pool. 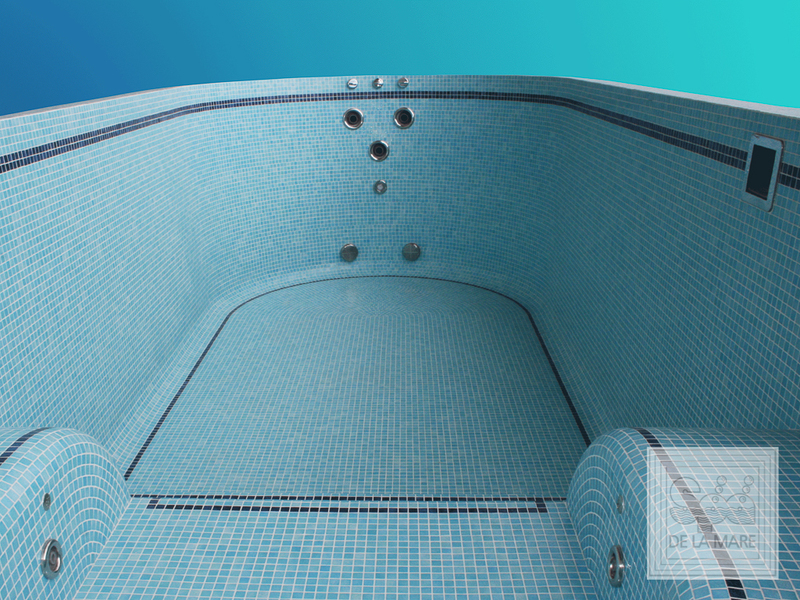 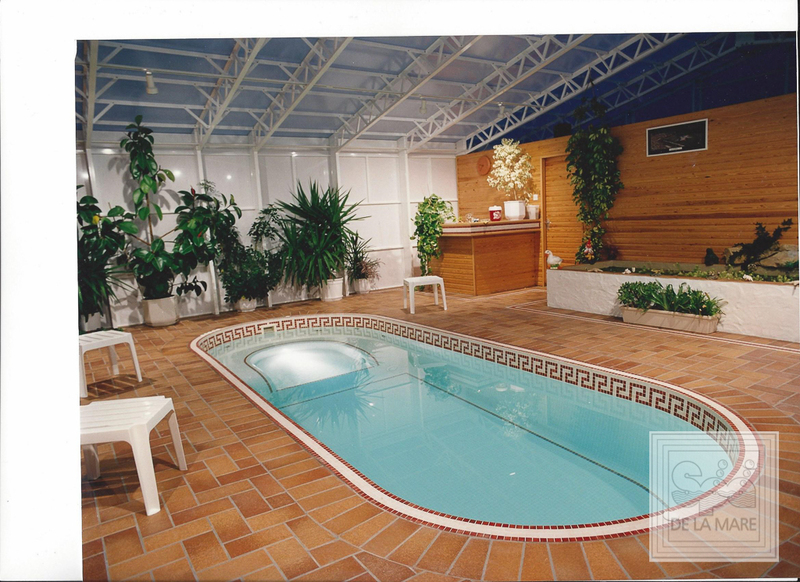 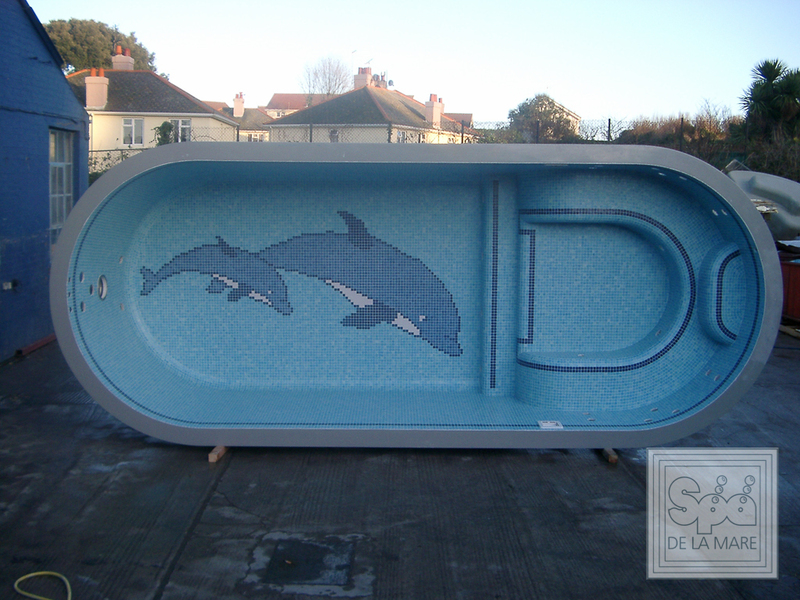 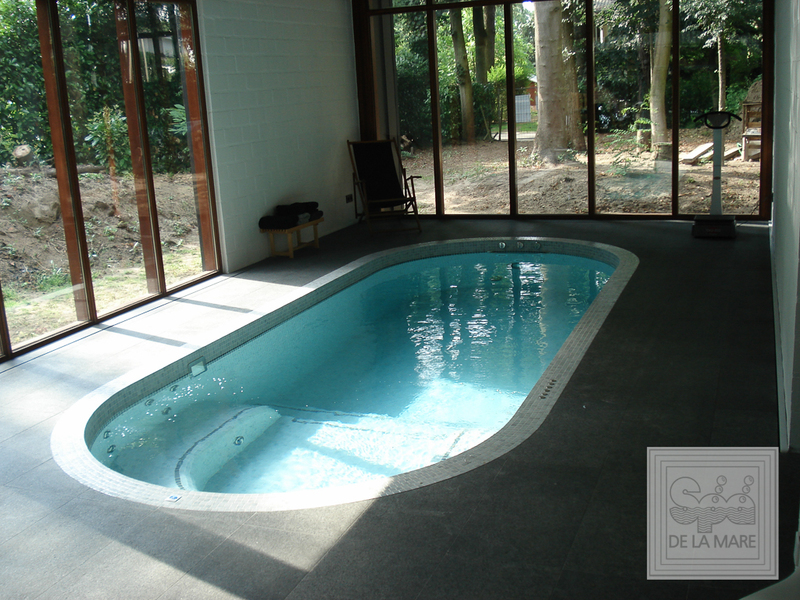 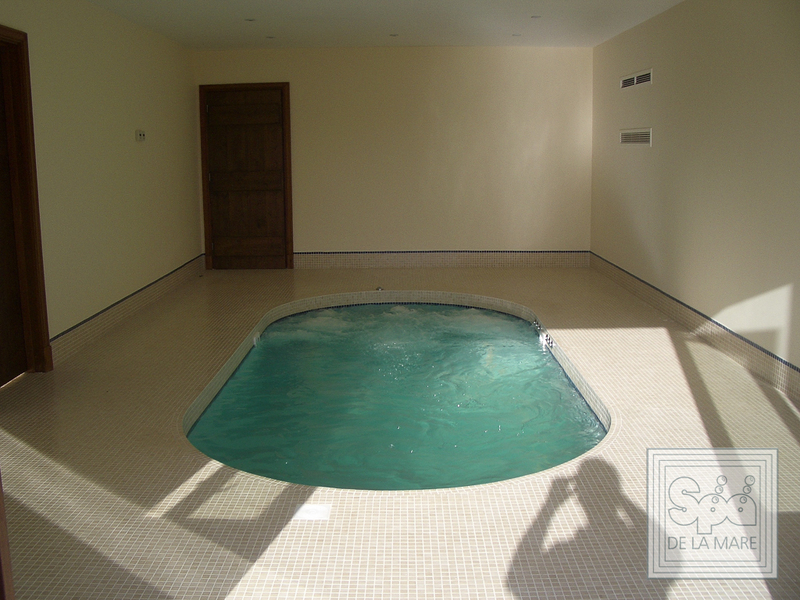 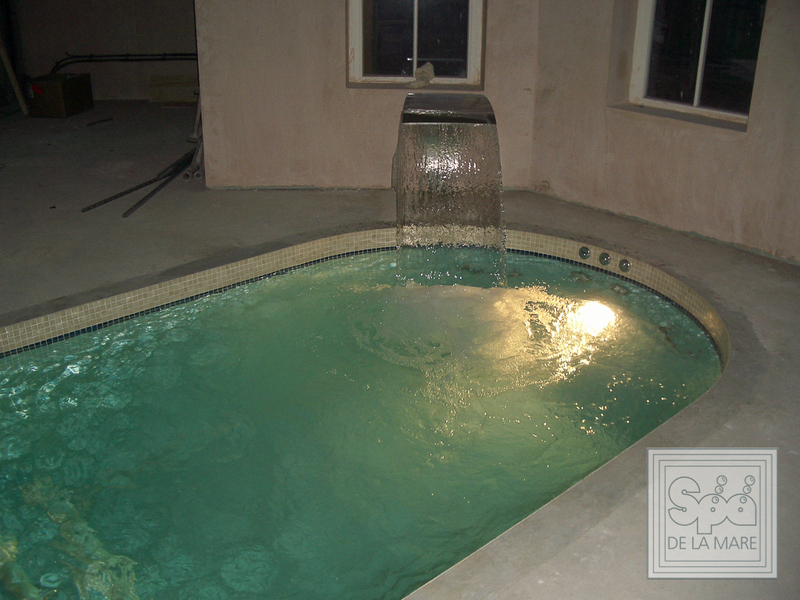 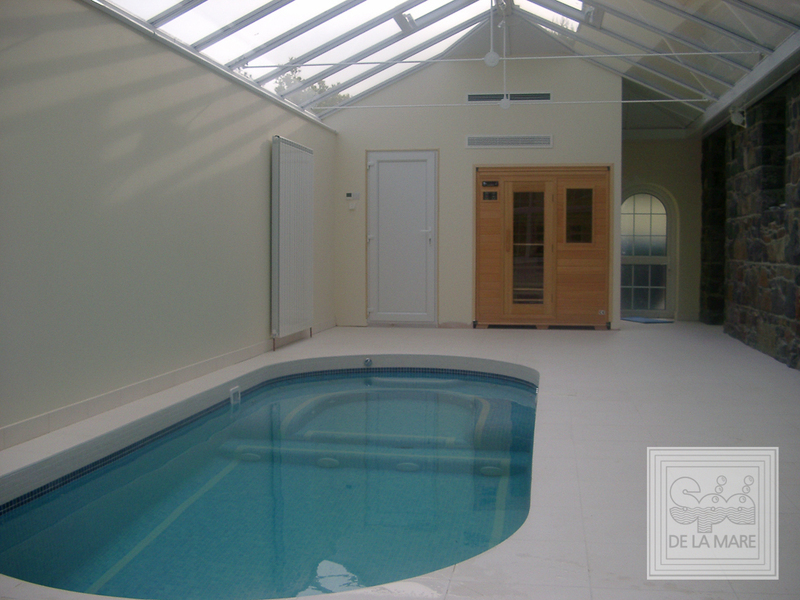 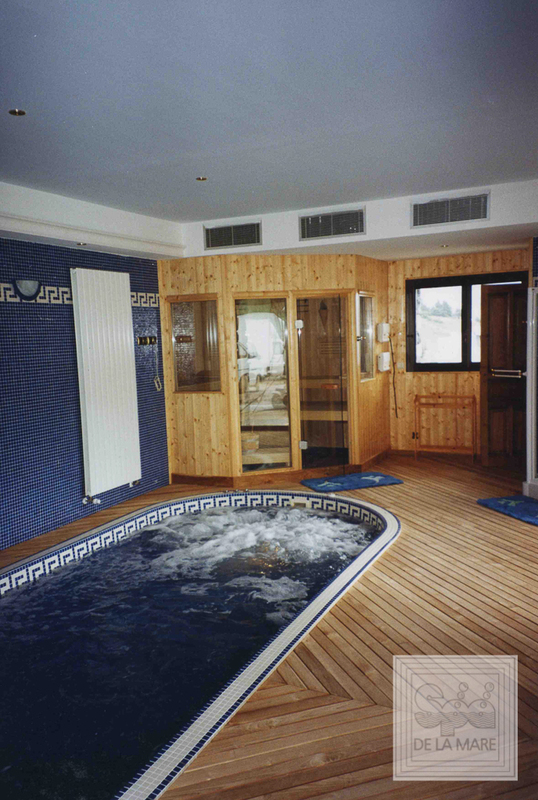 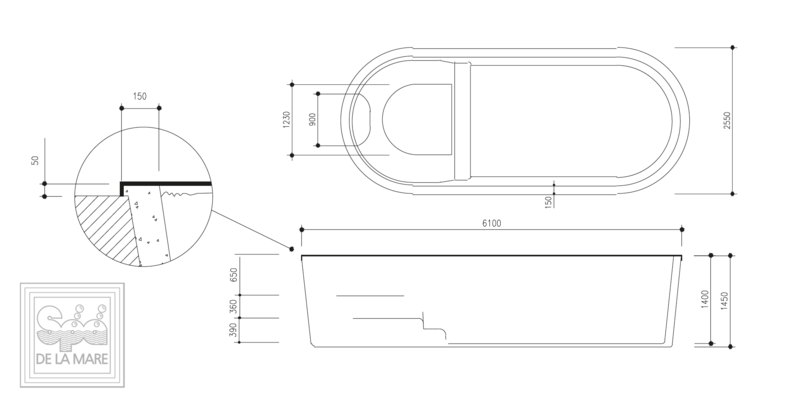 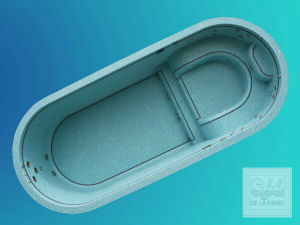 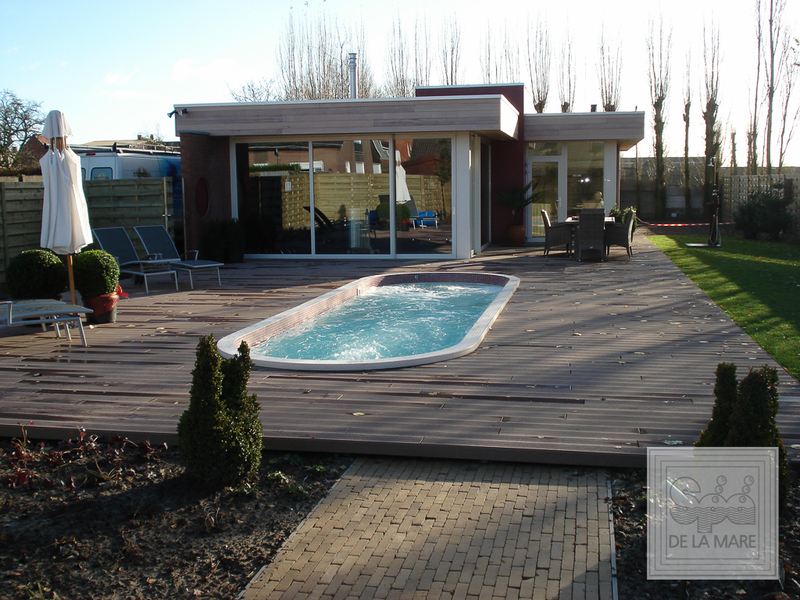 Each specific aspect of the design has been honed to maximise the function, efficiency and usability of the Swim Spa, from the filtration system to the floating thermal heat retention cover. 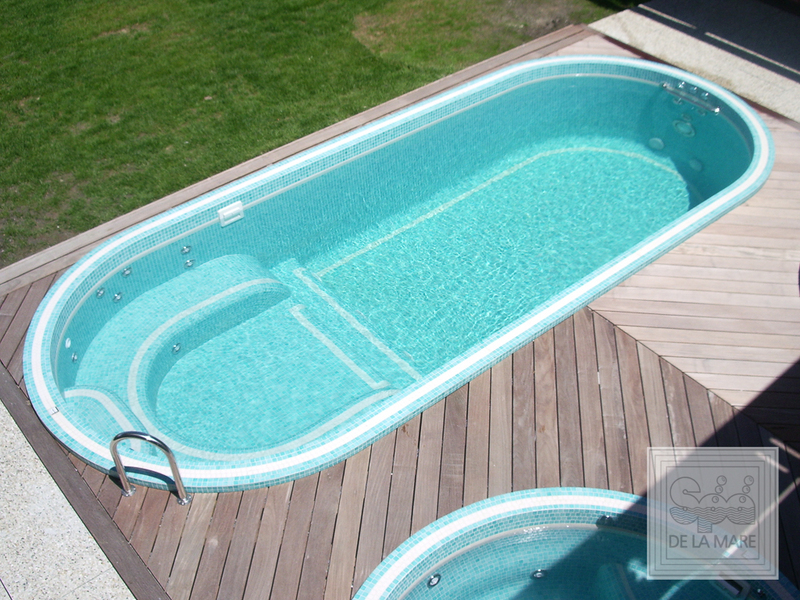 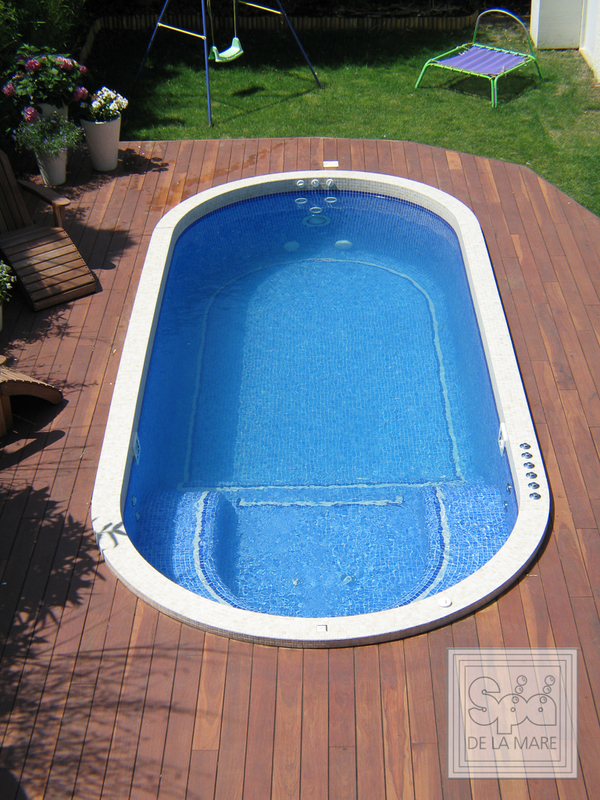 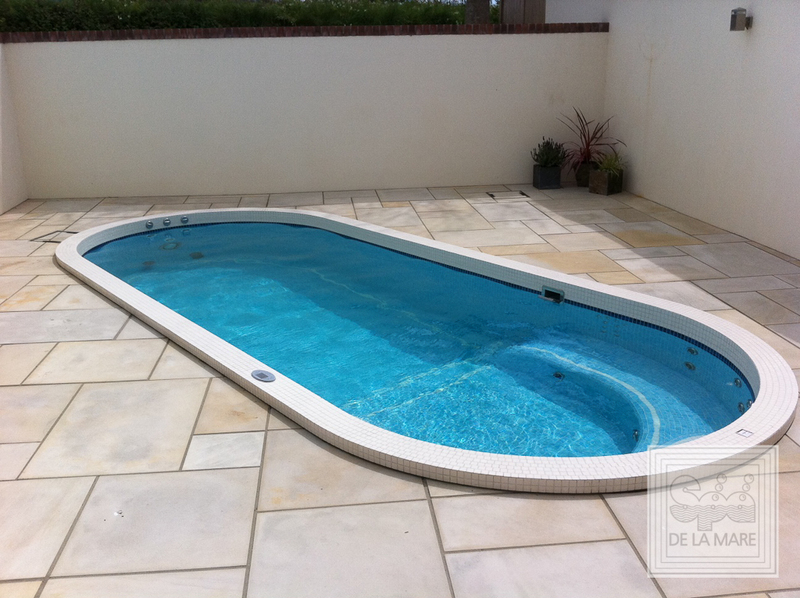 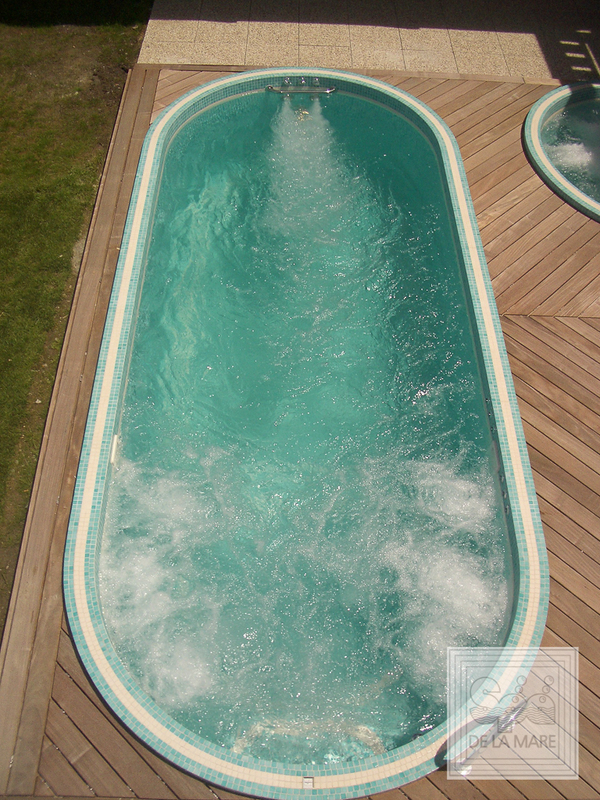 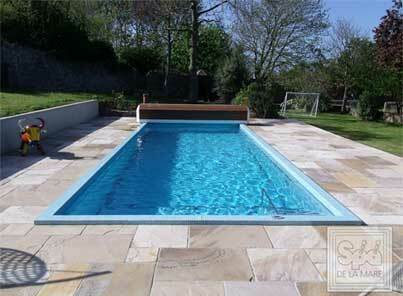 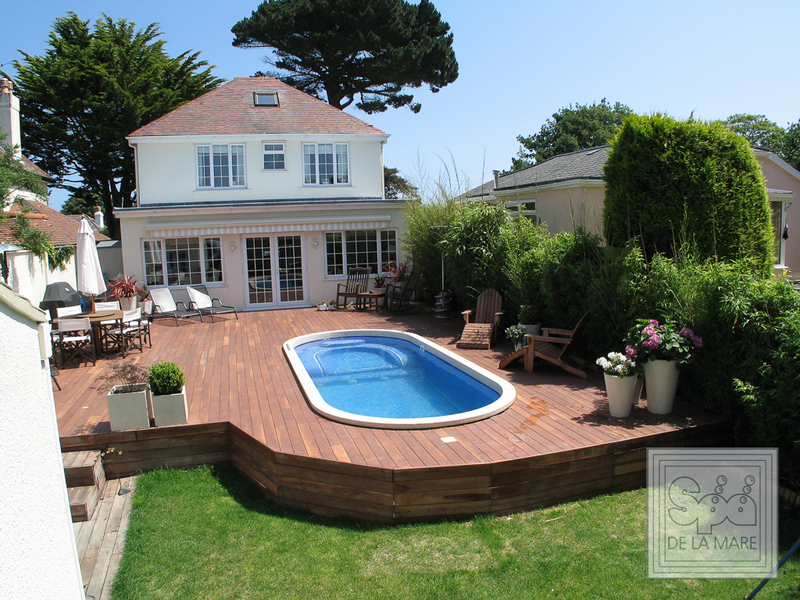 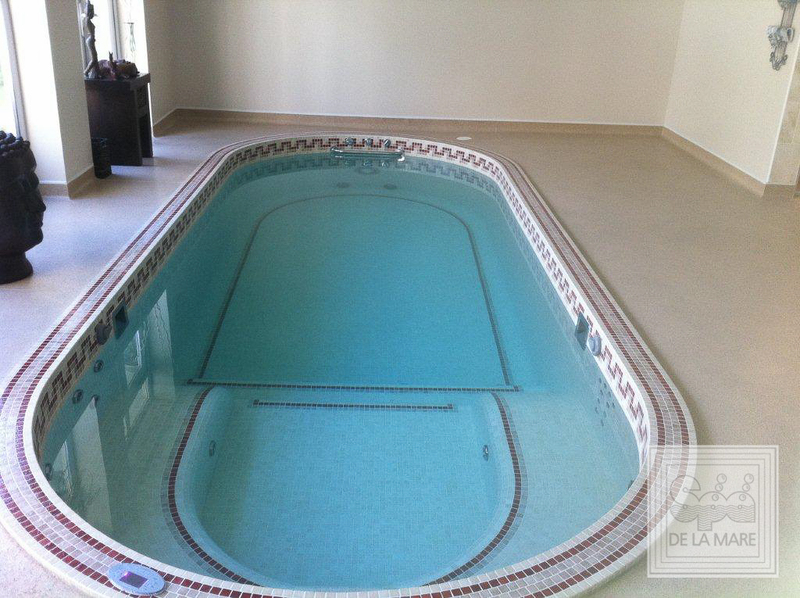 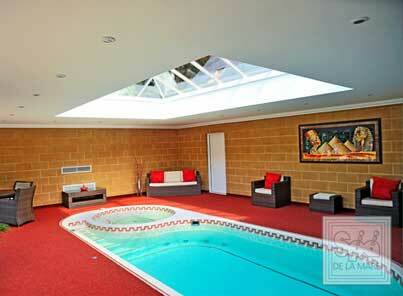 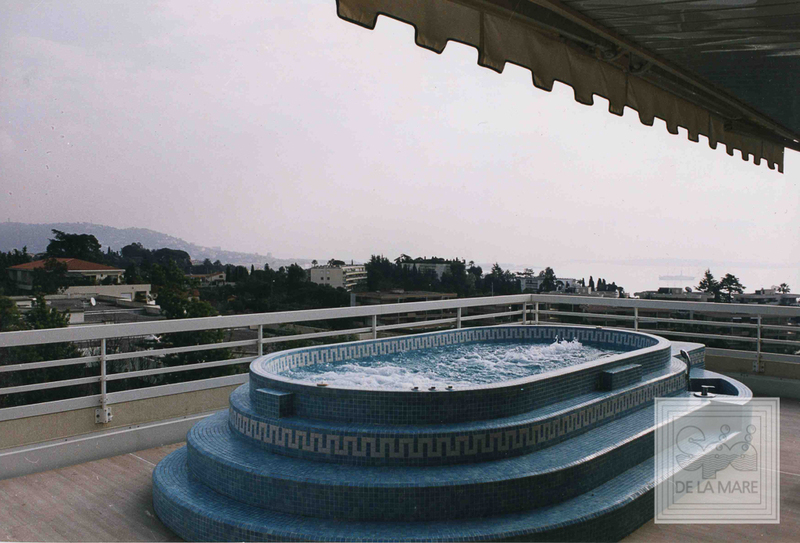 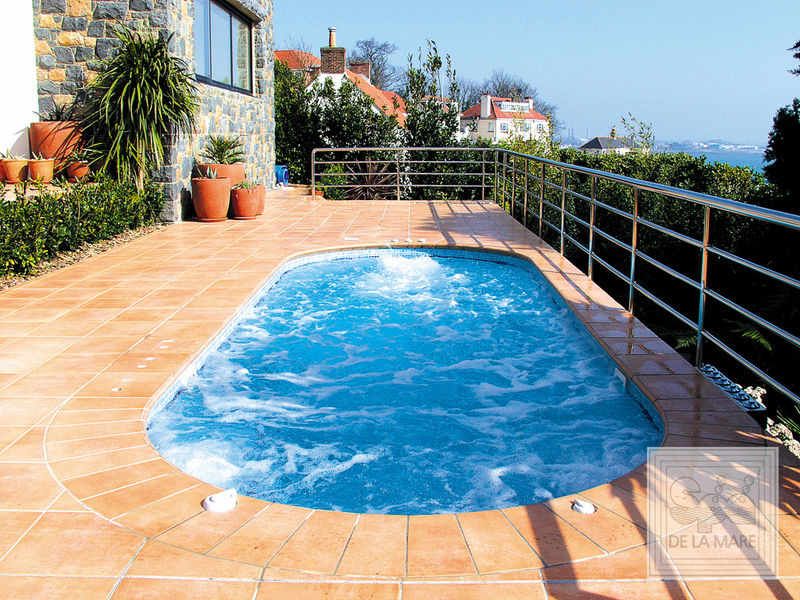 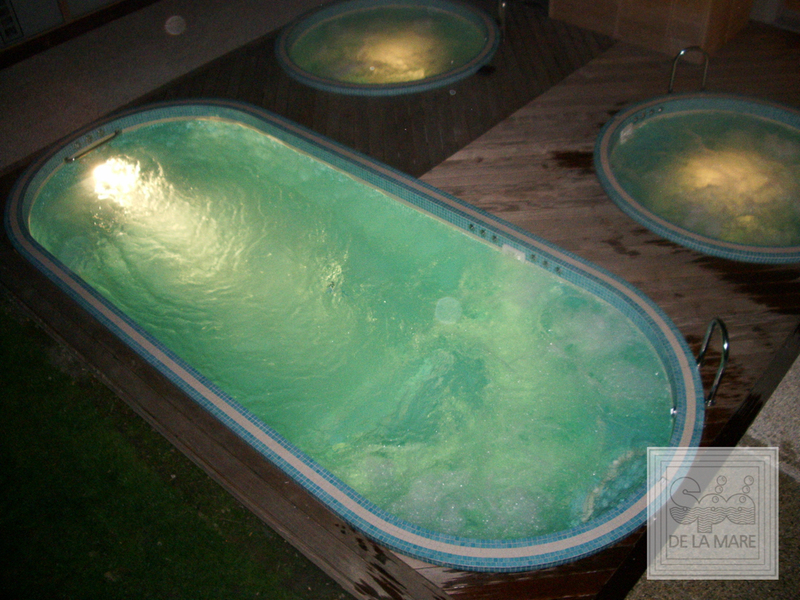 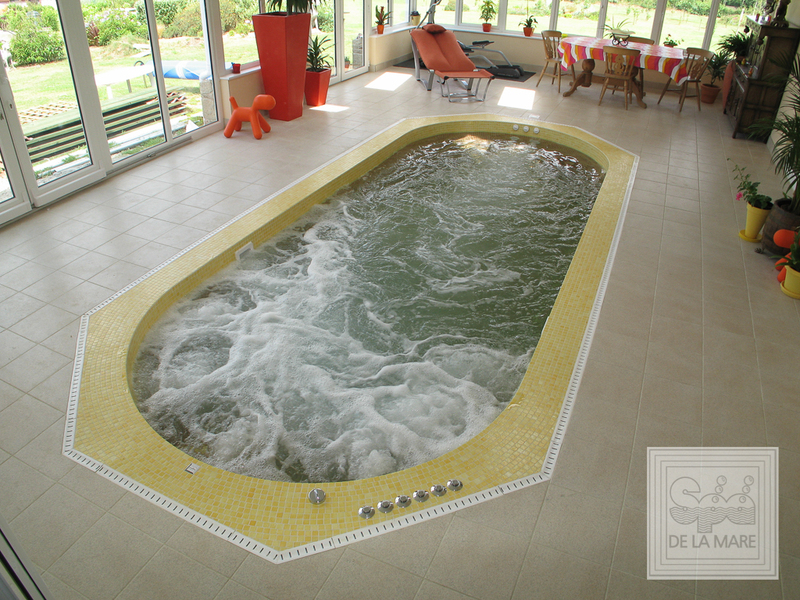 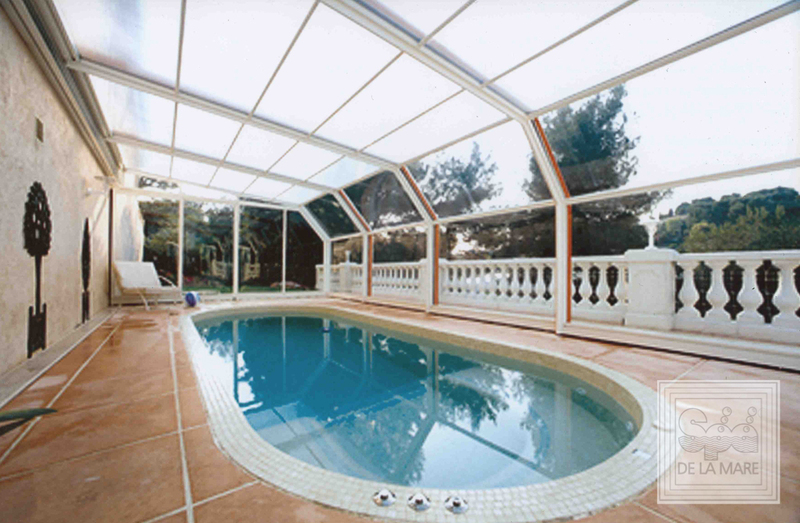 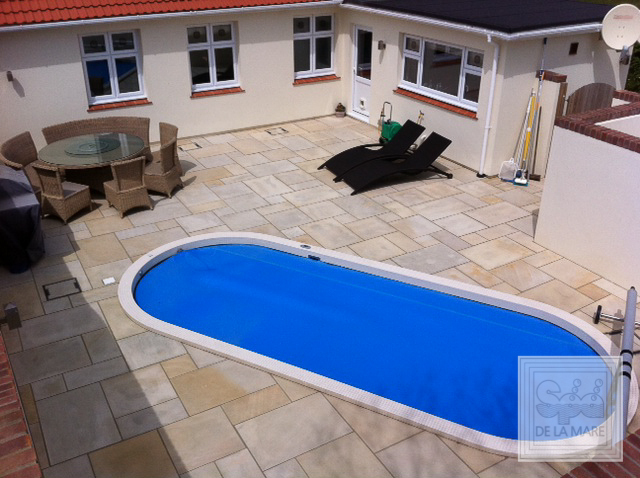 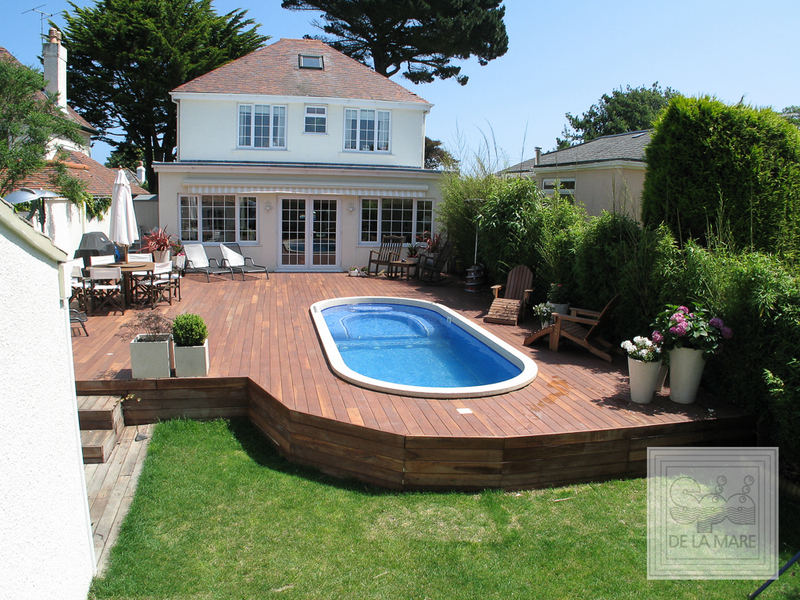 The latest design of the Cleopatra II Swim Spa also offers incredible energy efficiency. 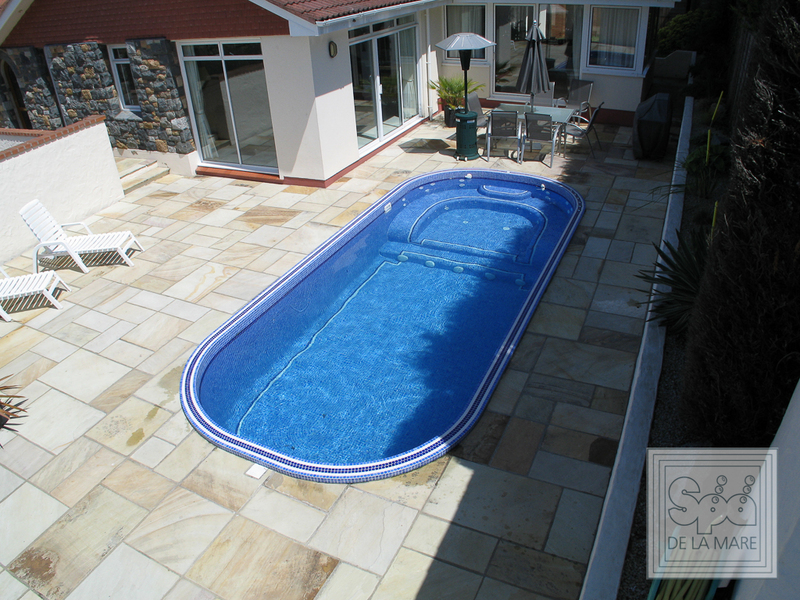 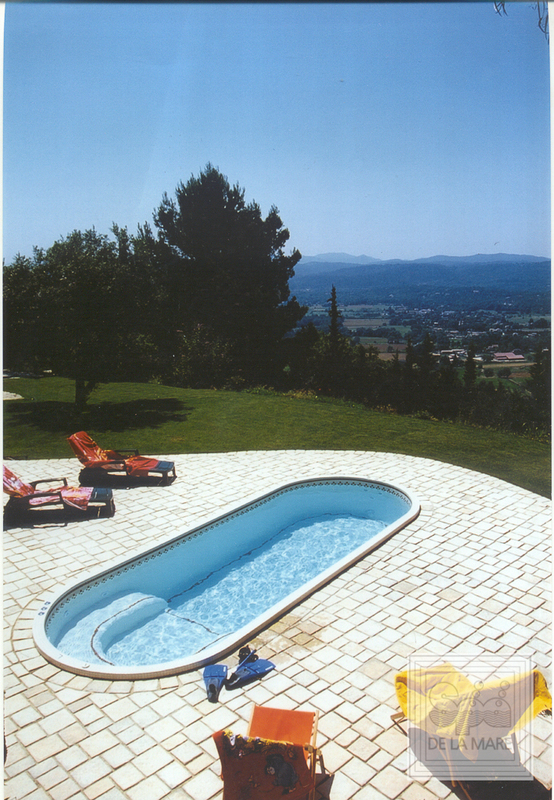 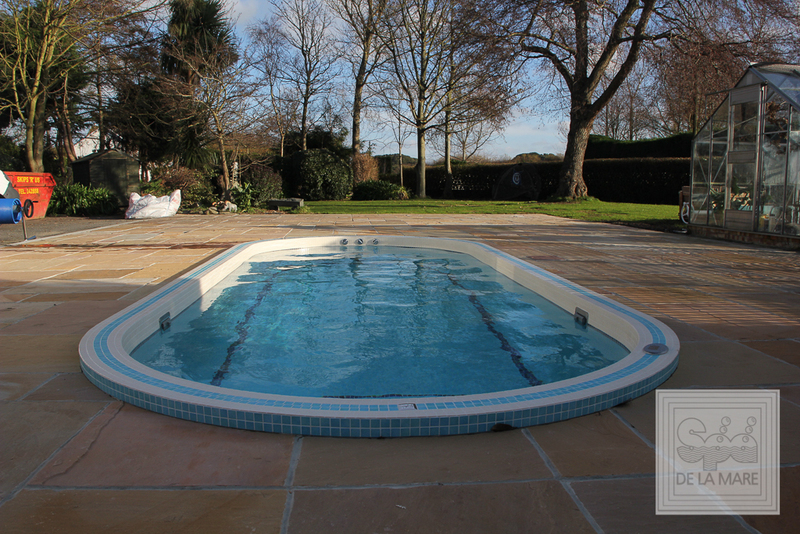 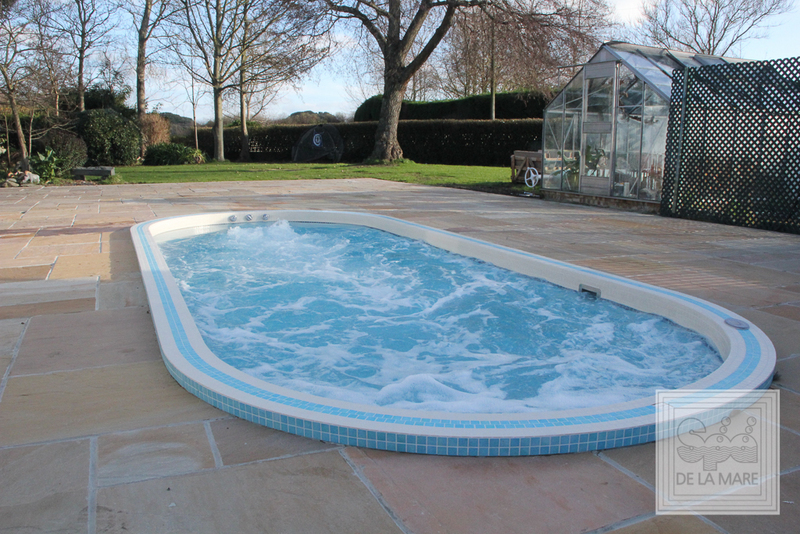 With a base made from a high density full foam block construction, you’ll benefit from maximum heat retention that won’t drain on your energy consumption, as well as delivering a constant temperature that means you can instantly use the pool at a temperature that suits you. 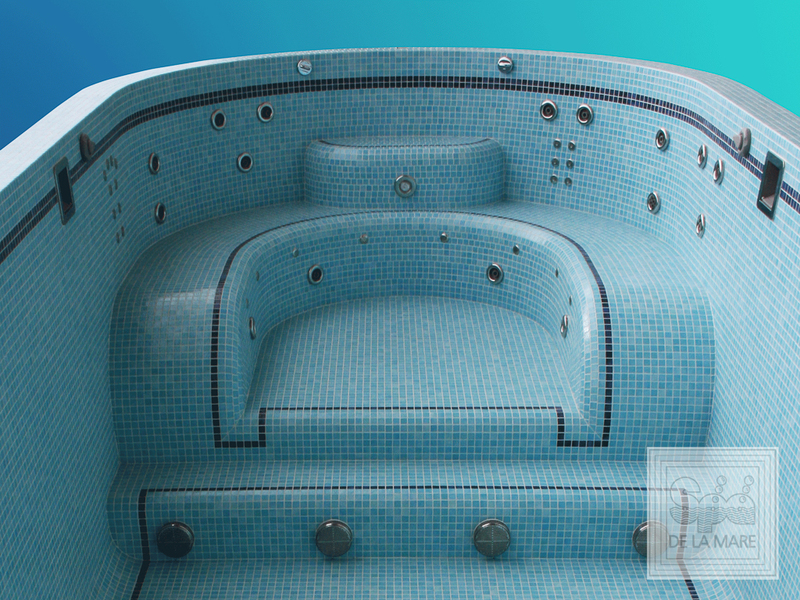 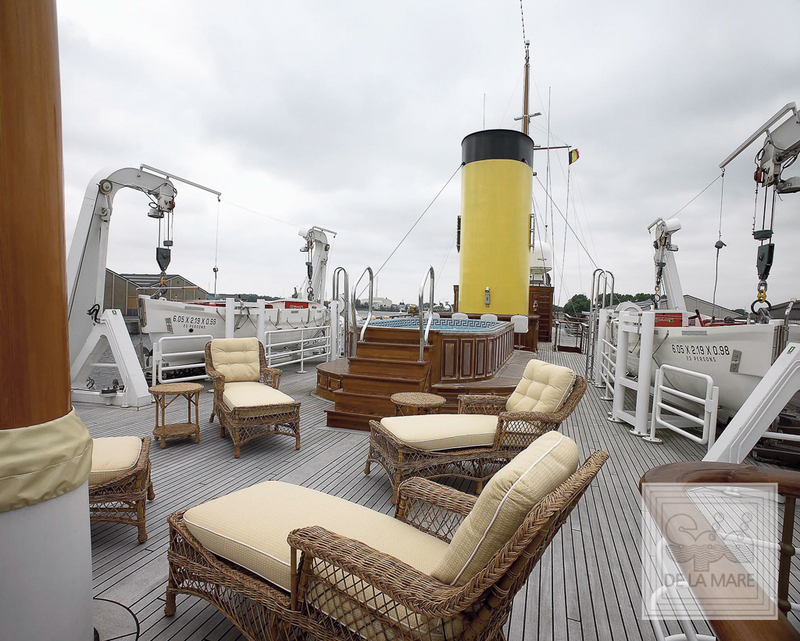 Plus with a reduced water volume, you’ll find the Cleopatra II a far more cost-effective and user-friendly choice all-round. 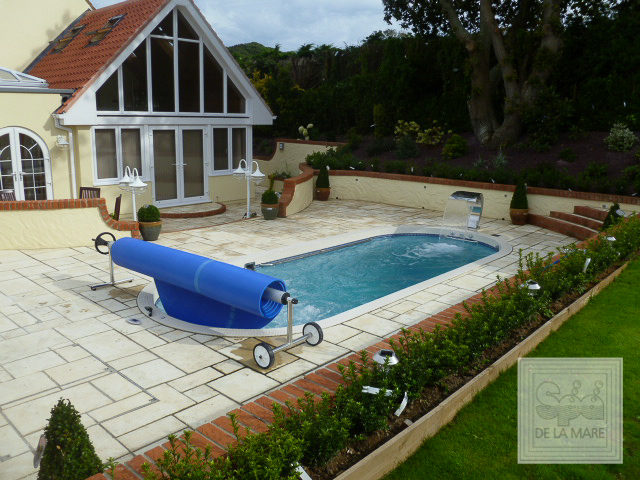 As with all Spa De La Mare products, we recognise that our customers are not just looking for functionality, they want quality and style too. 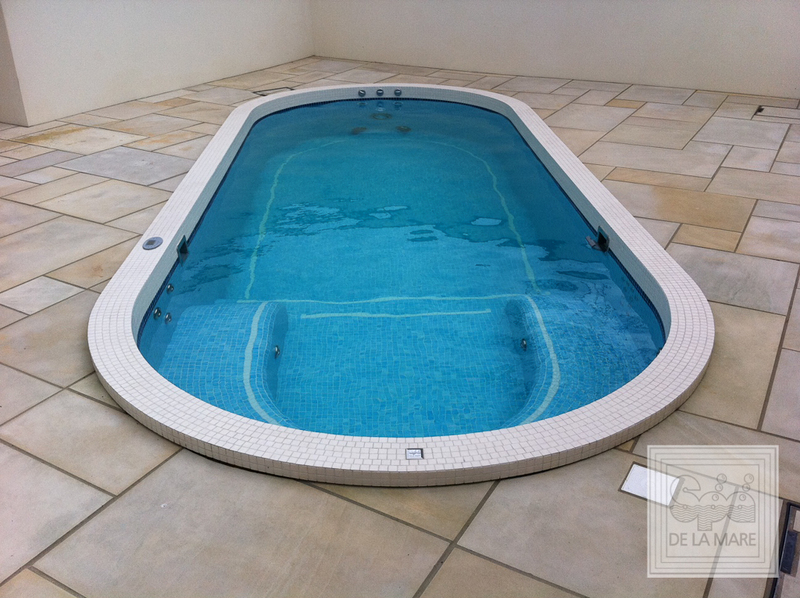 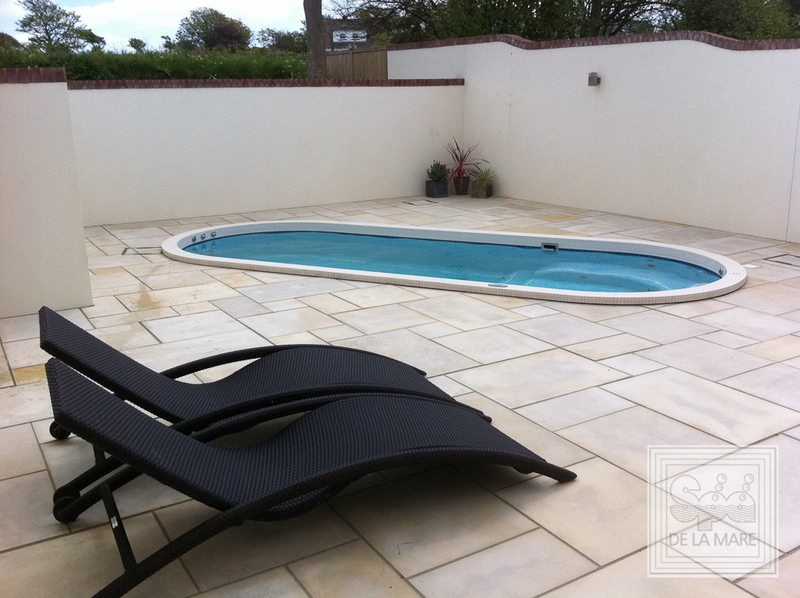 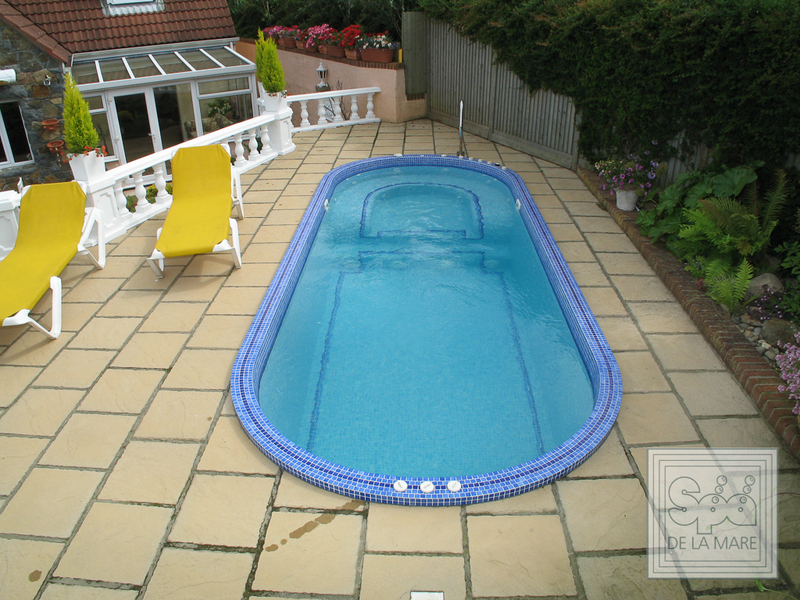 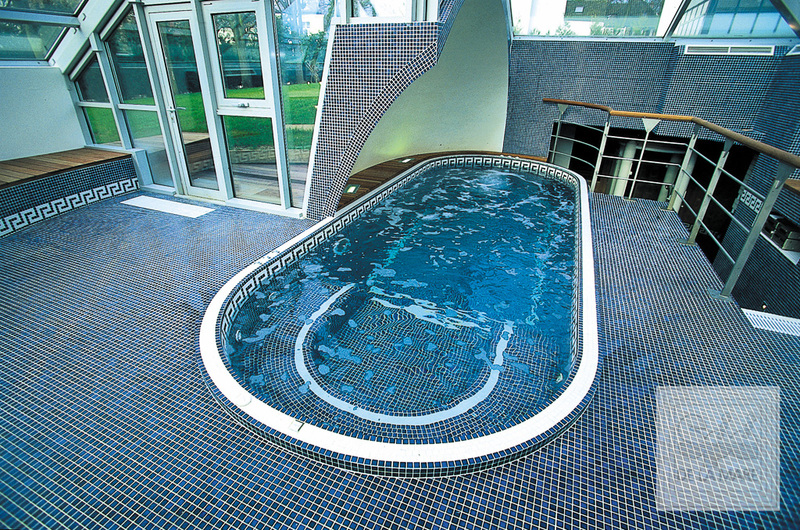 This is why all our products, including the Cleopatra II Swim Spa are made to an exceptionally high standard with an Emaux de Braire porcelain mosaic tiled finish that gives it a unique character. The design also comes with a digital-touch spa side control panel, so you can easily control the temperature, jets and additional Swim Spa functions as and when you choose.